Trampoline is fun to use and provides a great way to exercise. They are ideal for both adults and kids. One nice thing about buying a trampoline is that it’s not too complicated to set up and can be done without any professional assistance. Although the manual is provided for you, if you still need some guidelines, this article is meant for you. 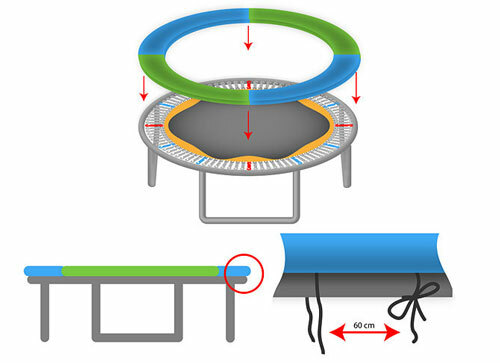 Below are some simple guidelines to follow when setting up a trampoline. If you purchase your trampoline online, you may be surprised once you open the package. Why? Well, the product you saw online is the complete assembled one but you will only get the pieces in the box. 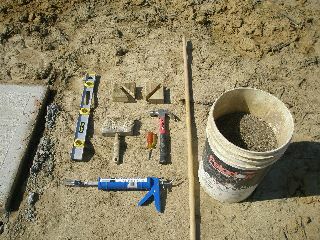 This means that you have to setup the pieces yourself and assemble them exactly how it is online. You may see a net folded into a small square and some little bars. But do not panic. Assembling these things and setting them up will only take few moments of your time. Rubber mallet for installing the springs. Although not necessary, this makes things easier and faster for you. A strong screwdriver (this is generally included in the trampoline package). But if you want to make the assembly faster, an electric drill will serve you better. If everything is in order and you have all necessary tools at hand then you are ready to setup your trampoline! After opening the package, remove everything and place them on the floor. Then begin by setting up the frame. Start with the legs. It won’t be too difficult to spot the right bars for the legs. They are generally designed to have a 90 degree bend and are usually short. Remove them and place them one side. Take out those long pieces with tiny holes at their base pointing to the floor. Then connect each section to the legs you have kept separate. Attach these sections together and things will eventually snap together to give room for settling up the net. The next step after setting up the frame is attaching the net. Remove the net and stretch it out, then start fixing them on the springs. This might take some time but the process is not a complicated one. Start by attaching one edge before moving on to another across the previous. Take the bolts/screws and screw them in the right areas. Ensure that the bolts are properly screwed on the frame for safety purpose. After the springs have been properly tied and hooked, the next phase is to lay the trampoline mat over the frame. You may need a rubber mallet and a pulling device to get the springs properly installed on the metal frame. While you are at this, you will realize that the trampoline gets tighter as you keep attaching more areas. This is where the importance of a rubber mallet comes into play as it helps you hold the piece together while you pull the spring on the hook. There is another way to lay the mat apart from the above process. You can decide to fix the hook to the jump pad before attaching to the metal ring. This process can be done by starting from left and then to the right in an orderly fashion to make sure no detail is left. 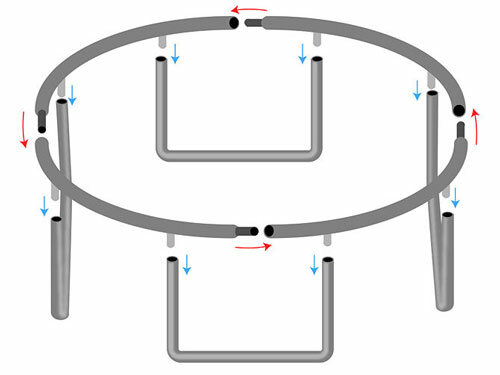 You can also attach by first joining the second jump pad to its 12 o’clock just opposite the first spring before hooking the third jump pad to an adjacent angle, and then another one to your opposite direction from the second. Then you can go to your right or left in the same direction. Make sure you don’t attach all the springs on one side of the frame. Doing it this way will make things difficult for you since you may not be able to properly stretch to the other side to attach the rest. 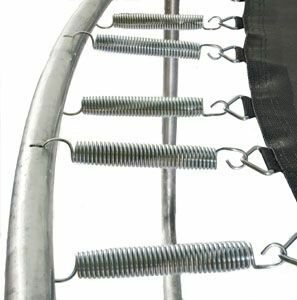 After installing the trampoline, the next part is setting up and installing the spring protector. Of course, the protector is very important because the spring may not last long without its protector. You are through with the hard part. This part will be quick and does not need any expertise. Just spread it on the springs and find an area of the spring protector where there are gaps. Tie them firmly on the springs to prevent scratches or injuries from them. Do not tie them too strong to make it easy to remove during spring. Once the springs are successfully tied, try to jump on it. If it feels strong enough and you think it can withstand your weight without any issues, congratulations you have successfully setup your trampoline and you can start making use of it right away. Should You Play Trampoline in a Park or at Home?